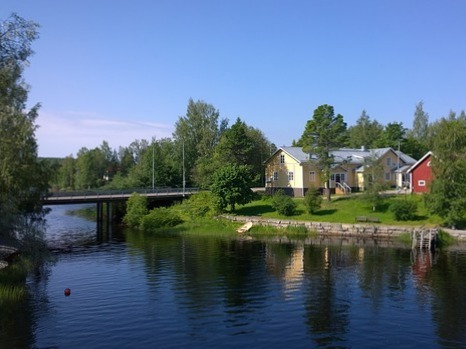 Our seminars on Wind Power & Environmental Health were hold in September, 8-9, 2018 in Ahlainen and Kalajoki, Finland. One of the speakers at the seminar, Professor Mariana Alves-Pereira from Lusófona University, Lisbon, was interviewed by Suomen Uutiset after her arrival to Finland. Professor Alves-Pereira has completed Bachelor’s degree in Physics, Master’s degree in Biomedical Engineering and Doctoral degree in Environmental Sciences. The video interview in English can be seen above as well as at the homepage of Suomen Uutiset. Professor Alves-Pereira came into contact with the subject of infrasound and low-frequency noise for the first time in 1988 when working as a technical translator at the Portuguese Air Force. On the air force base there was an on-site biomedical research team, so when she went to do her Bachelor’s degree in Physics in the USA she was already involved with the problem of low-frequency noise.